Articles for October 2017 Year » TopFreeSoft.Net - Best Freeware Software! 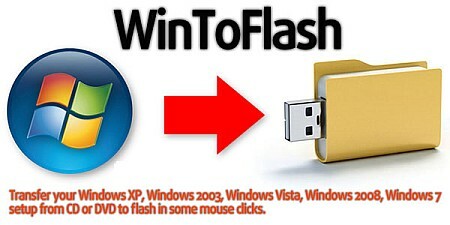 WinToFlash is a software for transfer your Windows XP, Windows 2003, Windows Vista, Windows 2008, Windows 7/8/10 setup from CD or DVD to USB in some mouse clicks. This is about you can install your Windows from flash drive, USB pen, HDD, etc to your computer or netbook. There may come a day that optical drives are as hard to find as 5.25 floppy drives are today. WinToFlash starts a wizard that will help pull over the contents of a windows installation CD or DVD and prep the USB drive to become a bootable replacement for the optical drive. It can also do this with your LiveCD. You don't have to worry about scratches on the disc or misplacing your original media discs once you transfer their contents to the flash drive. The optical drive is quickly becoming a thing of the past, especially in office environments, as media is shifted to the cloud. Small and fast editor with syntax highlighting for HTML and other common languages The original Notepad shipped with Windows is probably the handiest program of all times, small, fast, without frills! 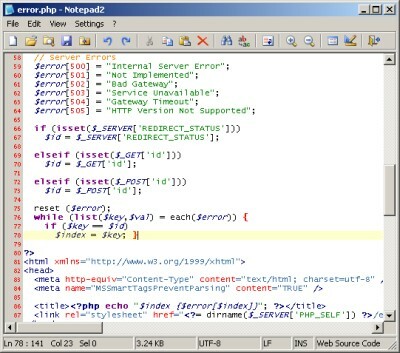 Notepad2 tries to follow this principle, being a fast, small and free text editor with syntax highlighting for HTML and other common languages. Customizable syntax highlighting.